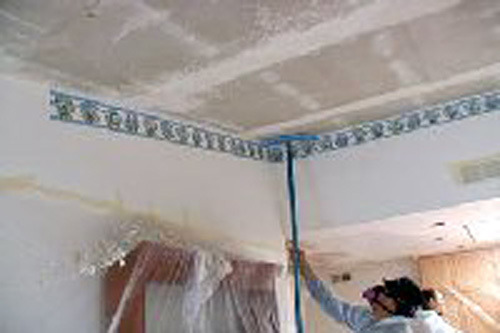 Preparing your home for our arrival to remove your popcorn ceilings and retexture them is essential to a smooth job. We ask that you remove all loose items in each room to be worked on, such as pictures, lamps, clothes, kitchen items, computers, pillows, bedsheets, plants, statues, basically everthing but the furniture. Our crew will move furniture. Remember we will always maintain a controlled mess during the entire job, but having the rooms cleared makes a big difference. Thanks. All floors are enveloped in plastic. Wood flooring is double wrapped to provide a sound vapor barrier. 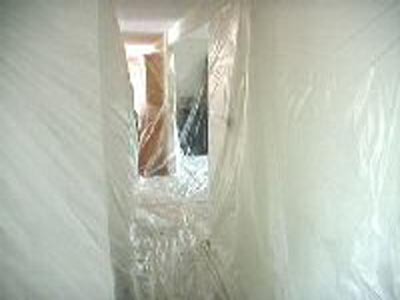 All walls are enveloped in plastic that is in turn fastened with tape to the floor plastic. Certain wall coverings, such as wallpaper, and paper borders are exposed to damage. 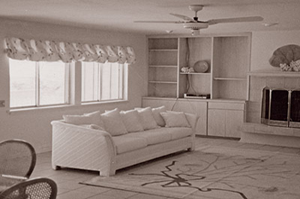 Please consult your estimator to determine if your wall coverings are subject to damage. Some ceiling fixtures cannot be removed by our crew. These fixtures will include: heavy chandeliers, ceiling fans, etc. Some skylights have acoustic coatings in the vertical shaft. The material can be removed by our crew. 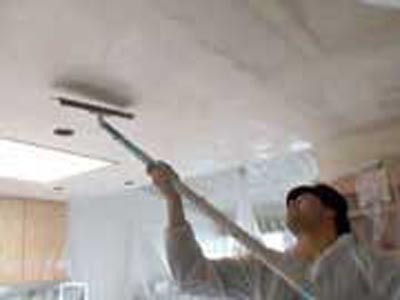 Have your ceilings been previously removed by another contractor? Do you see tape joints and areas that were not prepared properly? Arrow Ceilings can make your ceiling look beautiful! Your acoustic texture hides many flaws on the surface of your ceiling. Most of these flaws are resurfaced at no additional cost before the crew gives you that new textured ceiling. 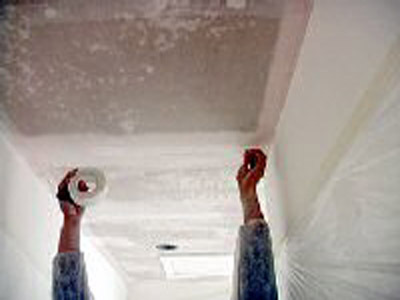 Conventional ceiling textures were developed during housing boom of the 1970's thru the early 1990's.The most popular ceiling texture with builders was the popcorn ceiling, or also known as cottage cheese texture. It was easy for the builders to install and would cover any flaws in the ceiling drywall. Today however it is considered an eye sore, giving a Tampa Bay home a dated look. By removing the old texture and installing new custom hand produced textures such as knockdown, spanish lace, orangepeel, and others, you will transform your ceiling to a much more modern look that you will thoughly enjoy for many years and increase the value of your home. Each Tampa Bay home is enveloped in plastic. The plastic provides a barrier that separates the work environment from your home environment. When the work crew removes this envelope, the bag of debris is hauled to a designated disposal site. The debris is never disposed of in household receptacles or landfills not designed to accommodate acoustic material. Your home will be left completely clean. 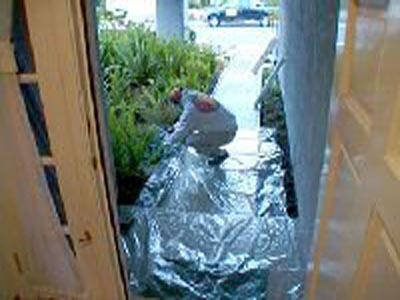 (727) 804-5411, or complete our estimate request form.